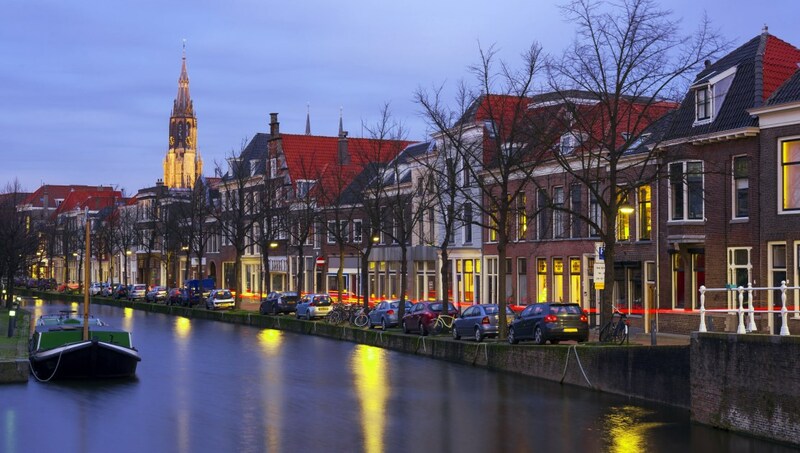 Small and scenic, Delft's historic cityscape lies between Rotterdam and The Hague on the River Schie. Once famous for its Delftware pottery and porcelain tiles, quaint streets and resplendent monuments make it a sightseeing favorite! Here are a few highlights. Despite its name, the market square's New Church dates back to 1496. Climb its tower to see as far as Rotterdam, The Hague, and, on a clear day, even Amsterdam! Originally built as a nunnery in 1400, the museum boasts many local artifacts. William of Orange was shot here, and visitors can still see the bullet holes in one of the walls! 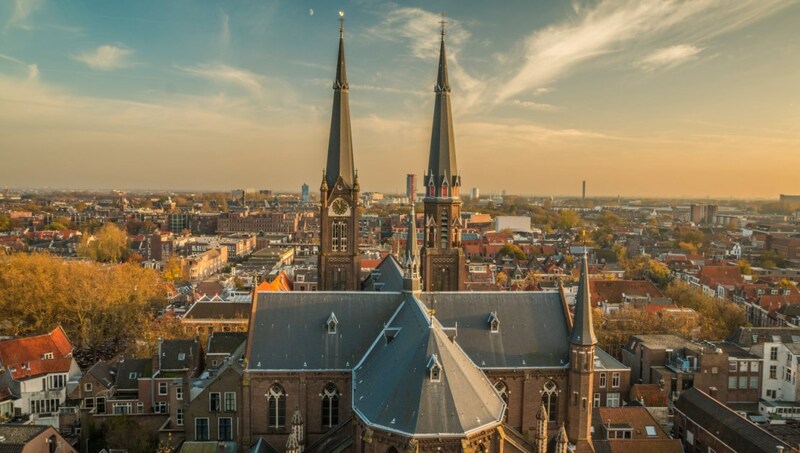 Delft's Old Church was built in 1250 but received a Gothic overhaul two centuries later. It's the resting place of many notable Delft natives, including the painter Jan Vermeer. 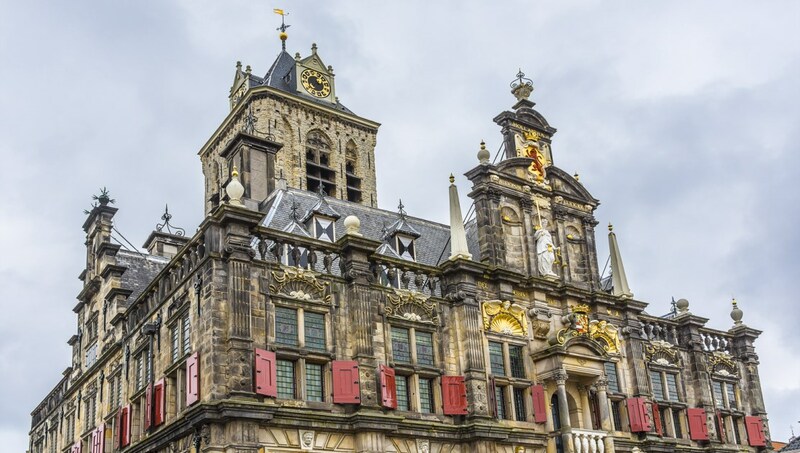 The "Stadhuis" looks simply magnificent from outside, but take a tour of its interior to marvel at elegantly decorated rooms from the Orange Gallery to the Council Chamber. 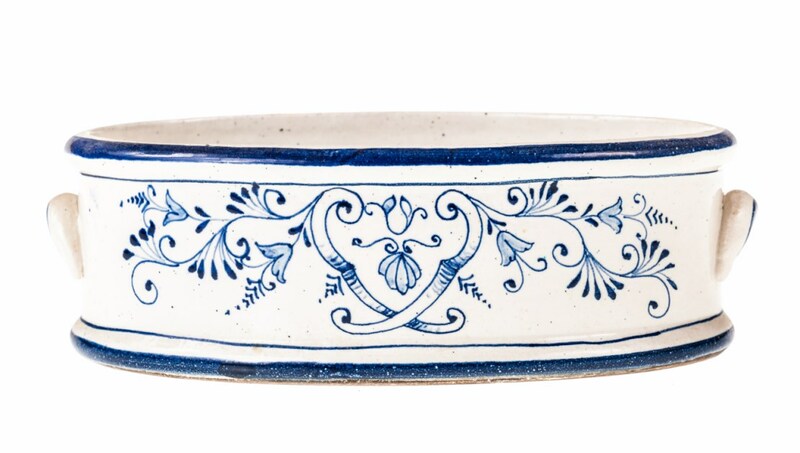 Delft was home to 32 producers of Delftware pottery in the 17th century, but here's the sole survivor. Take a tour to see artisans at work and its collection of historical pottery. Stretching from north to south, the Old Canal's picturesque buildings are perfect for sunny-day strolls or bike tours. 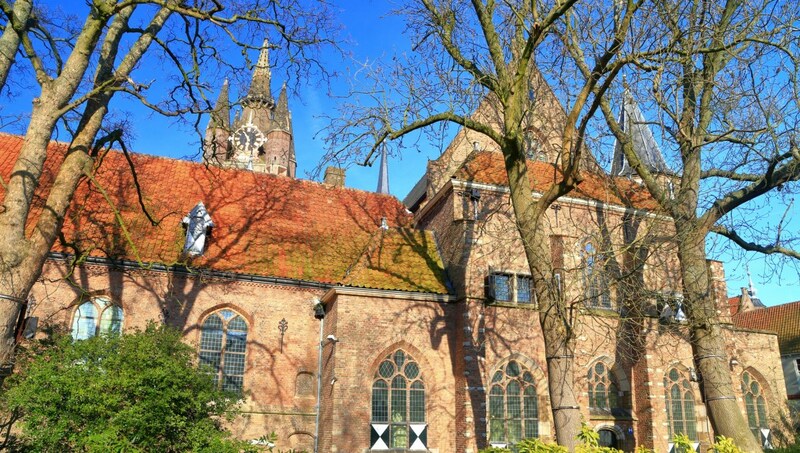 Check out the nearby Begijnhof and the "hidden church!" Looking to expand upon that leisurely stroll? Head to the south-eastern corner of the Old Town, where you'll find the pretty "Eastern Gate" at the junction of several canals. Delft's Old Town is mostly car free. It's easy to navigate the small city by foot, but keep an eye out for bikes and taxis, which are allowed to use some pedestrian streets. As with many places in the Netherlands, cycling is easy, convenient, and greatly encouraged. If you'd like to partake in the country's favorite mode of transport, bicycles are available to rent at the train station. You'll need a valid ID and cash for a deposit. Best to have sunshine light your way around cozy Delft. June through September are great months to consider. 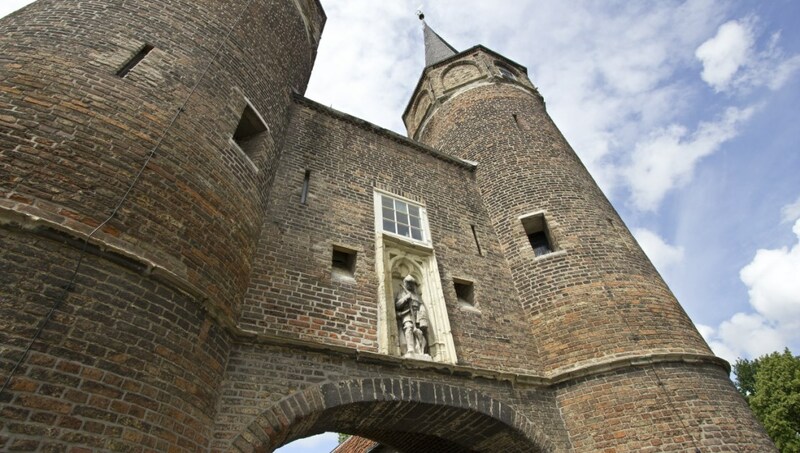 Want to discover all there is to do in Delft? Click here for a full list. Very good guide but some of the guests...not so! Pietre was a very good guide...easy to understand and very knowledgeable. We did enjoy the tour but were disappointed that we missed much of the Hague (International Court) because ignorant guests don't follow instructions as to when to return to the bus. We do think that Pietre should have enforced the time restriction even if it meant leaving people behind. The rest of us paid for a tour that, because of a few inconsiderate guests, was incomplete. Top way to expand your experience of the Nederlands! A comfortable way to see the South Holland precinct. 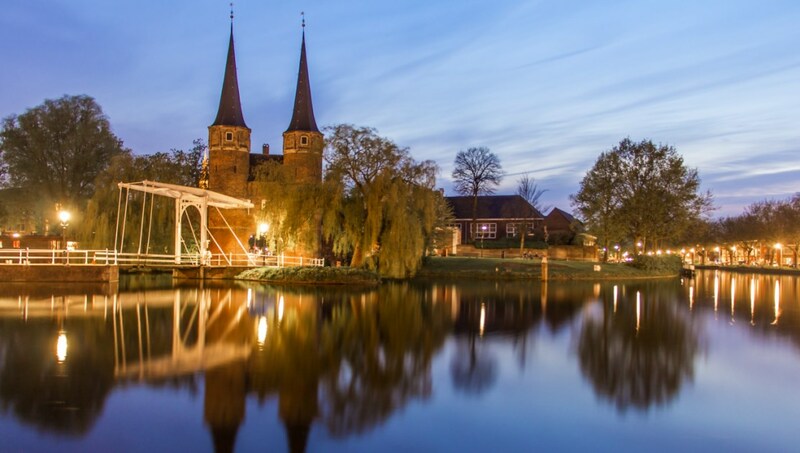 View The Hague area, see Delft township and witness the iconic pottery being made by craftspeople and see Rotterdam by Road and via the waterways. Don’t limit your experience if Holland just to Amsterdam this trip is worth it. This was our first visit in the Netherlands. Jan our tour guide displayed good humor, knowledge of the area where we are touring. He made our first visit very pleasant. Jan was very patient in answering our numerous questions. He brought us snacks and water which we truly appreciated. We highly recommend Jan as tour guide. He gave us his business card but we misplace it, hopefully you could send us some information so we could send a thank you note. I'm not very fond of guided tours but I chose this one because I was going with my mother and we couldn't afford long walks or lots of public transportation time. To my surprise, it was great fun and we were taken everywere. Top marks for EDGAR, the morning guide who was really amazing (he even played a couple of tunes for us on a piano during the visit to the mill). Very well organized: both Edgar, Sandra and Wout (in the afternoon) made us felt really looked after. If you want in one day to see three different cities this is the best choice. Delft was so beautiful, Delft potery very interesting, Hague beautiful too and Rotterdam perfect choice for persons who want to see an industrial city.